Email marketing is still one of the best ways to get your message in front of potential clients and customers. 1000.gr provides a complete email marketing campaign. The Email Marketing tools provided from 1000.gr Tourist guide is a cost efficient way to keep your small-medium sized business in touch with your customers, learn about them, and create a loyal relationship between the two of you. It can be planned so that your customers receive your message at a specific time and that message is delivered right into their personal space: their inboxes. 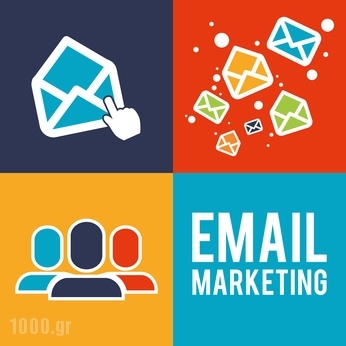 Learn more about 1000.gr Email-Marketing services. 1000.gr uses an Email Marketing strategy that listens, learns and reveals customer insight. Discover what each customer wants and deliver the most effective message to convert them from visitors, to leads, to customers, to advocates. At 1000.gr we know that Internet has forever transformed the way we reserve and visit accommodation and gastronomic destinations.Most people spend hours scanning the Web to find the best deals and offers through tourist guides and leaving a trail of valuable data about their interests, budget and patterns, changing the travel industry in the process. As one of the leading Tourist guides and catalogue in Greece, we have been given the opportunity to grab users attention. We know it already; email is the best performing channel for profits and high returns, especially for small and medium sized businesses. It’s our job to use an endless stream of information to build a powerful email marketing strategy that turns tourists all over the world from daydreamers into actual customers.So, how do we turn a dull inbox into a real gold mine? 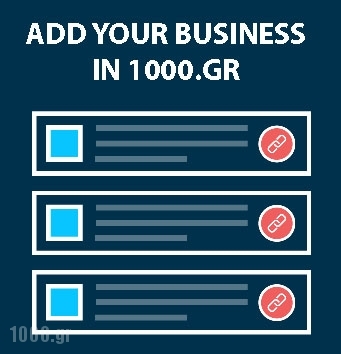 Add your business to 1000.gr and discover how a regular email can be turned into an extraordinary campaign for your small-medium sized accommodation or gastronomic business in Greece. We specialize in tourism email marketing to help drive new and repeat business for your small-medium sized hotel or restaurant. We focus on tailoring the message to a refined customer segment as possible. 1000.gr implements an innovative Email-Marketing strategy that use industry data to inform the best times to send email campaigns, evaluate subject lines, email content, and send times, ensure mobile optimization, and create email templates that are branded and effective! We have a targeted email marketing strategy created specifically to support newsletters, calendar of events, particularly for small-medium sized hotels, Inns, Bed and Breakfasts, Time Shares, Home Rentals, restaurants, bars and cafes in Greece. 1000.gr Email-Marketing lets you create and develop marketing campaigns tailored to meet your needs. Add your business or explore our Premium packages and let us help you get your first custom tailored campaign. Subscribe for one of our Premium packages or contact us for more info and come up with creative and feasible email campaigns for your business.